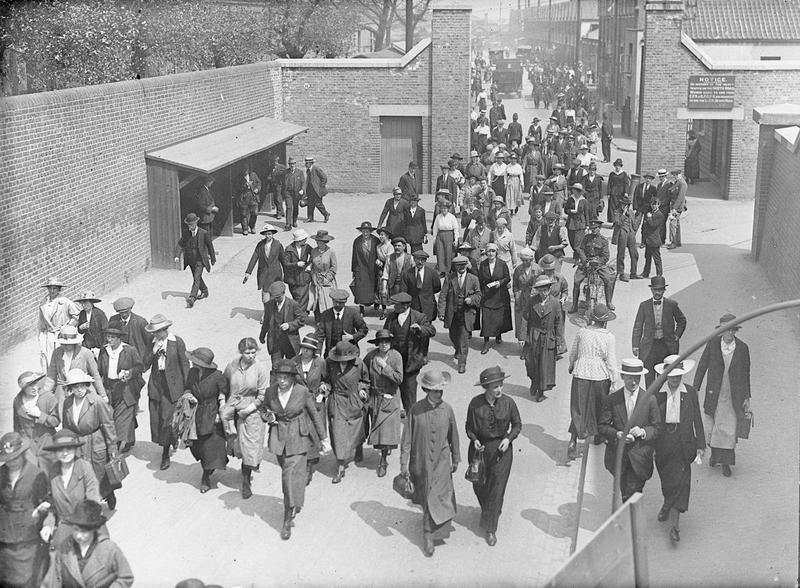 Huge numbers worked at the Royal Arsenal in Woolwich during the war; 63,940 were employed just before the Armistice, of which 24,360 or 38 percent were women. Unsurprisingly, after the war the workers at the Arsenal wanted to save their jobs, and a “Peace Arsenal” campaign calling to keep the works open began. The workers argued that that it made economic sense to keep a skilled workforce and machinery at the Arsenal, rather than both being spread out across the country. They argued that the Arsenal could do work that private companies could not. 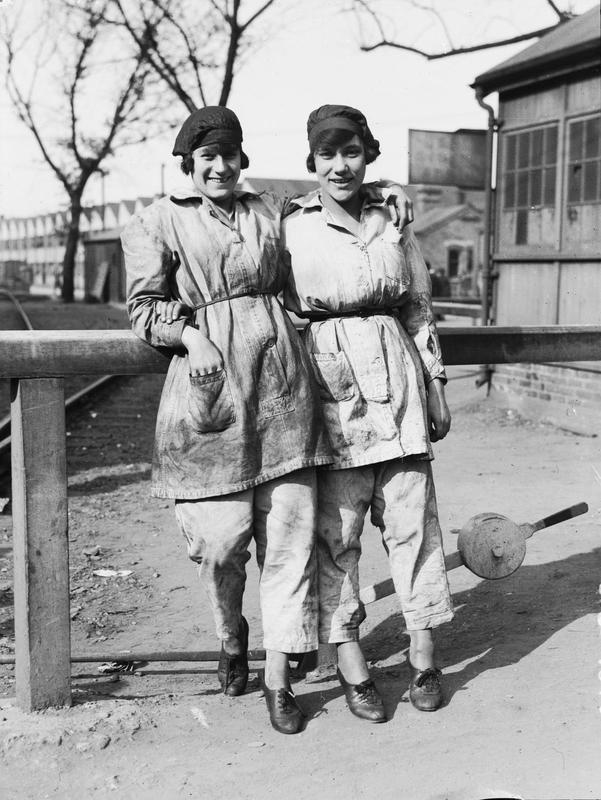 Once the war ended, and the demand for munitions decreased, many workers lost their jobs, especially if they were women. By October 1919, only 19,729 workers remained. While the campaign primarily focused on jobs and economic arguments, it did touch on broader issues of militarism and foreign policy. It raised the possibility that private companies would promote war in order to further their financial interests. In 1919, the Woolwich Pioneer, the newspaper of the Woolwich Labour Party, told the tale of H H Mulliner and the war scare he created to sell the government arms. The same newspaper also called private manufacture of munitions “the root of militarism”. “To a private firm the actual manufacture is only one of its functions, its other obligations being to find a market, and push the sale of its goods”. The campaign also made a link between foreign policy decisions and unemployment. They believed that the sanctions against sending arms to Russia and Poland meant that the Arsenal missed out on much-needed orders for munitions. The campaign not only criticised these decisions because they impacted upon employment, but also commented on the policies in themselves. Haden Guest, a Labour county councillor in Woolwich, stated that, “we ought not to be fighting Russia: we ought to be helping, sending machinery and things which could be made at Woolwich Arsenal”. That the Woolwich Arsenal should be maintained, during peace-time, as an armaments factory. That it should be maintained at a size that would make rapid expansion in time of war possible, and that in order to do this civil work would need to be found for the Arsenal. That the Arsenal should not compete with the private sector, only producing directly for the State. The workers organised a number of marches. Munitions workers marched just before the 1918 election and were spoken to by shop stewards from the Arsenal. Local politics in Woolwich was not characterised by class antagonism. Local politics in Woolwich was not characterised by class antagonism. The Labour Party held power in the area and built coalitions with other groups. The skilled minority of male engineering workers at the Arsenal shared the interests of the local Labour Party and aimed for social peace and unity. They tended to choose more conventional campaigning tactics than the direct action found in places like Glasgow, where arguably the workers had less opportunity for electoral power. In this video, researcher Beth Smith discusses the campaign in an interview with fellow researcher, Frank Jackson. Private arms companies were threatened by the idea that the Arsenal could continue operating in peace time as a state-managed locomotive manufacturer as the very existence of state-run industry threatened their profits. As Gilbert Slater wrote in 1922: “Woolwich Arsenal saved the country enormous sums by checking the prices demanded by the Armament Ring and other private manufacturers”. There was a mixed response from the government to the Arsenal workers’ demands. Their calls for alternative work were taken seriously by the government, as they were afraid of industrial unrest, and wanted to be ready to produce arms for future emergencies. They therefore set out to provide the Arsenal with “alternative work on a considerable scale in order to maintain efficiently an establishment capable of immediate adaptation for future emergencies”. A range of options were looked into by the government and lists were prepared of work that might be given to the Arsenal. A resolution passed by the Woolwich Advisory Committee on 8th January 1920 stated that “all suitable orders for Government Service requirements should in the first instance be scrutinised with a view to determining what could be economically manufactured at Woolwich and other permanent Government factories”. The Committee became frustrated as government inaction and failure to provide work for the Arsenal became clear. MP William Adamson even threatened to resign from the Committee if nothing more was done for Woolwich. That said, some alternative work was found and the Arsenal did make products for the Post Office, the Indian Postal Service, Trinity House, the Anatolian railways, the Board of Trade and the Ministry of Food. Ultimately, there were massive job losses at Woolwich, and the women were the first to go. Within the first year of peace 48 percent of men had lost their jobs and 90 percent of women. By 1923 the Arsenal had only 6,000 workers left. This was still better than the other state owned factories, most of which had been sold off, as for example was Queensferry explosives factory in North Wales. The government did not want the provision of work for the Arsenal to compete with the private sector, which made it difficult to find work for them to do. This combined with pressure from the arms industry may have prevented the government from prioritising work for the national factories. Workers had initially used arguments about efficiency to save jobs at the Arsenal. However, as the political climate changed and the practicality of manufacturing locomotives for the railways at the Arsenal started to look less clear, arguments of efficiency started to be used against them. [The Peace Arsenal] campaign was based on the desire for regular employment at the Arsenal, supported by a temporary enthusiasm for wartime collectivism and by a widespread opposition to profiteering. It sought to use conventional channels in order to convince Parliament that alternative work would aid economic and social stability. Once the threat to profits was greater than that of social instability there was, within the logic of the campaign, no justification for diversification. Dan Weinbren, Historian. Today, arms trade jobs are found in private firms, as part of a globalised industry rather than in government owned factories like Woolwich Arsenal – but these jobs are subsidised by government and given disproportionate political support. Their protection has been invoked as a justification for supporting repressive regimes, and as a reason to ignore potentially criminal activity. The existence of other jobs elsewhere may be of little comfort for communities where the arms industry has been a prominent employer, such as Warton in Lancashire, Brough on the Humber, Barrow in Cumbria and Glasgow. These communities have lived with years of uncertainty as arms companies cut back and move employment overseas and fear a skills exodus when plants close. However, the growing renewables industry of offshore wind and marine energy require very similar skill-sets to arms workers. Many of the locations where arms trade jobs are concentrated would be natural locations for renewable energy manufacture and the pool of skilled workers in arms trade concentrations is a scarce resource and should attract new employers. Unlike the arms industry, this sector is growing rapidly and is genuinely vital to UK prosperity, environment and security. Carbon emissions need to be reduced, and quickly. The UK Government has made commitments on emissions but much more ambitious targets, and the means to reach them, are needed. The environmental impact has major security implications given the role of climate change as a driver of conflict. Renewable energy technologies would also increase energy security, meaning a move away from both unstable supply regions such as the Middle East, and also away from the perceived need to intervene militarily in the region to ensure energy supplies. Renewable energy is a substantial and rapidly growing sector that is already hampered by a skills shortage as well as the lack of policy and investment support from government. Early investment in specific technologies would almost certainly put the UK in a leading position in technologies that are and will be in high demand, will have major export potential and will also help other countries cut their carbon emissions. An ambitious move towards wind and marine energy could produce more jobs than there are in the entire arms industry. Yet to realise its potential it needs skilled workers, and government support and investment: resources currently focused in the stagnant and destructive arms industry.